Taj Mahotsav, one of the most eagerly awaited festivals, is celebrated from 18th to 27th February this year at Shilpgram near the Eastern gate of “Taj Mahal”. This 10 days long carnival is actually a vibrant platform that gives you information about India where you can find India’s rich arts, crafts, cultures, cuisine, dance and music. Taj Mahal is the most beautiful historical place of India which tells about incredible India. Taj Mahotsav is organized by UP Tourism and it is a source to increase Indian Tourism. Whether it is viewed in the first rays of the morning sun, seen against the molten sunset or bathed in the moonlight the Taj Mahal evokes a universal sense of harmony and empathy in all of us. This enchanting romance of the Taj Mahal is brilliantly translated into a 10-day extravaganza of art, craft, culture and cuisine, known as the Taj Mahotsav. This event is celebrated every year since 1992 at Shilpgram in the neighbourhood of Taj Mahal. This carnival is organised by UP Tourism in order to boost tourism in India. There are cultural evenings organised during this festival where you can be a part of soul-stirring performances from world-class artists of varied regions. The Mahotsav envelops a plethora of art-forms from classical to folk and popular film music and dance performances. Many well-known artists and musicians like Sonu Nigam, Rahat Fateh Ali Khan, the late Jagjit Singh, Wadali Brothers (Sufi Singers), Shiv Kumar Sharma (Classical Santoor Vadan), Pankaj Udhaas, Sabri Brothers, Kailash Kher, Sunidhi Chauhan, Shreya Ghoshal, Nikolina Nikoleski, Padmshree Pt. Vishwa Mohan Bhatt amongst others have graced the Mahotsav stage in previous years. Apart from this, you will be able to see many budding artists and unexplored folk talent from various regions participating in this event. Besides the exciting performances, the artists from diverse regions put up an assortment of incredible crafts that include wood carvings from Saharanpur, marble carvings, Khurja pottery, brass and other metal ware from Moradabad, handmade carpets, popular chikan-work from Lucknow, Banaras silk, Kashmir shawls and much more. For shopaholics, the Taj Mahotsav is the ultimate place to be! Shop for unique knick-knacks that include stone diaries with handmade paper, rock and pearl jewellery, traditional folk dresses and jewellery, paintings, handmade showpieces, lamps and much more. You can also buy some incredibly old and contemporary furniture and linens to take back home. Taj Mahotsav also hosts a fair filled with excitement for an entire family. Kids and adults both can enjoy thrilling rides on roller coasters, merry-go-round, train-rides and Ferris wheels. Entry tickets for Taj Mahotsav can be purchased from the ticket counter on all the entry gates. Entry for foreign tourists and kids below 5 years are free of cost. Visitors from 5 years to 12 years of age will have to pay INR 10 for their entry while adults have to pay INR 50 for their entry. Tickets for Taj Mahotsav can be purchased from the Ticket windows available on all the Entry Gates. Here at Taj Mahotsav around 400 legendary artisans get the opportunity of showcasing their work of art at grand level which includes wood/stone carvings from Tamil Nadu, Bamboo/cane work from North East India, Paper mash work from South India and Kashmir, the marble and zardozi work from Agra, wood carving from Saharanpur, brass wares from Moradabad, handmade carpets from Bhadohi, Pottery from Khurja, Chikan work from Lucknow, silk & zari work from Banaras, shawls & carpets from Kashmir/Gujarat and many more. 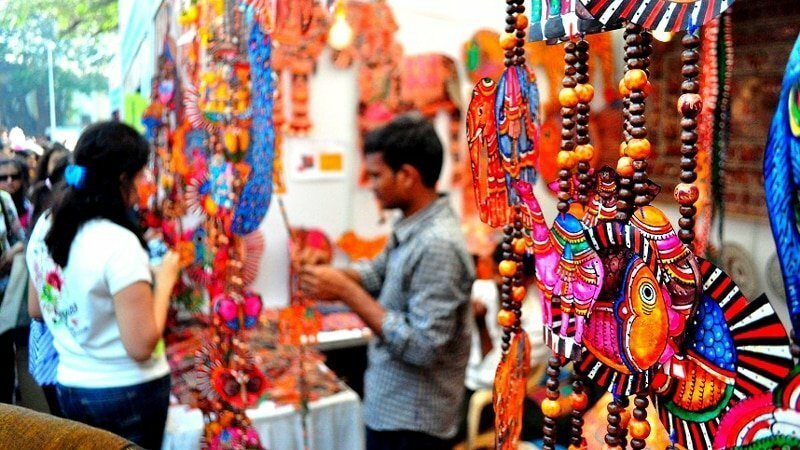 Indeed, we could get to see the true essence of Indian art and crafts all at one place. Taj Mahotsav also organizes cultural events that exceptionally depict the cultural aspect of India through magnificent performances by the renowned and state-of-art artists from all spheres. Apparently, throughout the Mahotsav, one can experience a profusion of folk & classical music & dances of various regions especially the Brij Bhumi, performed the way it was used to be centuries ago. Besides being a treat of exquisite culture and art for tourists, Taj Mahotsav also provides the ultimate destination to all Indian food lovers by offering a comprehensive range of Indian cuisines from different parts of the country. Some of the scrumptious and lip-smacking delicacies are offered at Taj Mahotsav at reasonable rates. 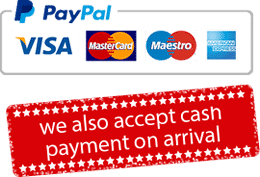 It is the most loved and biggest attraction for children as it involves big as well as small fun rides like merry-go-rounds, train rides and many more. So, if you want to enjoy and experience the true essence of India, come to Taj Mahotsav organized at Home of Taj.